C.E.M.P Central Inc. is a teaching, training and consulting organization dedicated to working with the construction, mining and quarrying industries to advance the management of mobile equipment fleets. Vision Equipment management as a highly regarded, data driven enterprise that adds value and flourishes on its merits. Mission To develop, disseminate and implement tools and technologies that define the state of practice and enable equipment end users to maximize return on capital invested, improve uptime and achieve operational excellence. To lead the world as the first source of expertise and advancement in equipment management. To develop our subject, set standards and advance knowledge through our conduct, inspiration and example. To build a supportive and enthusiastic community of individuals and organizations who define and constantly push the frontiers of knowledge in our shared passion for equipment management. 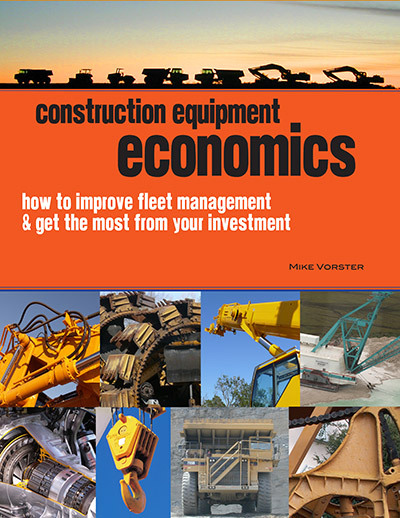 Construction Equipment Economics is an industry standard desk book for everyone involved with the management of mobile equipment. It provides guidance and inspiration to solve tough problems and improve performance. Selected portions of the text are available in electronic format. CEMP is an intensive, four day residential program for equipment managers, financial managers and operations specialists who seek tools, techniques and ideas to improve fleet management and increase return on investment. It builds the confidence and creativity needed to develop new solutions, innovate and change. Learn About builds our community and advances the state of practice by providing registered users free access to presentations, narrated PowerPoint slides and other learning material for use in self-paced self-study programs that build knowledge in selected areas and assist in implementation of cutting edge techniques. Small Tools That Work are spreadsheet based and other analytical tools that registered users in our community may purchase and use to improve decision making by analyzing their specific data and implementing quantitative methods such as those described in Construction Equipment Economics. CEMPCentral Consulting Services serves clients as they seek to improve performance and develop personnel in the area of equipment management. Consultancies focus on areas defined by the client and frequently involve long term initiatives that improve organization structure and alignment within the organization, budget and internal rate analysis and the implementation of analytical techniques to improve the repair, rebuild, replace decision. There are no simple solutions. Only intelligent choices.